We recently caught up with Sir Anthony McCoy OBE, our brand new 2018 Cheltenham Ambassador, to discover his favourite race of the season, his greatest achievement and the best advice he's ever been given. AP, you're renowned for being 'the greatest jump jockey of all time' and 'one of the world's highest profile sporting personalities' but we'd love to know if you could be the champion at any other sport, which would you choose? If I hadn't been a jockey I'd want to be a golfer. That's an interesting choice, it's very different to Horse Racing. Why have you chosen golf? Well, you can play until any age, you follow the sun around the world and there's little chance of sustaining serious injuries. Whether I'd have been good enough is another question but I'm enjoying practising, that's for sure. In three words, how would you describe the atmosphere during The National Hunt Festival at Cheltenham? Great answer, we agree! What is your greatest achievement in Horse Racing? Racing is a numbers game – fractions, lengths furlongs, targets, record-breaking records and resetting them. It was about setting myself goals and pushing myself to the limit. My greatest achievement was breaking a Sir Gordon Richards long-standing record for the all-time number of winners in a season (at 269). I rode 289 winners that season and that’s definitely my proudest moment. Throughout your illustrious career, what race win meant the most to you? Winning the Cheltenham Gold Cup on Synchronised. That was a special day. He wasn’t the biggest horse in that race, but his heart was in the right place and he had a strong will to win. One of my favourite career wins by far. It's definitely up there with winning the Grand National on Don’t Push It for JP McManus and Jonjo O’Neill. It was my 15 attempt at the National, it was the only trophy alluding me and I finally won it in 2010. This win played a big part in me being awarded BBC Sports Personality of the Year later in the year. Both are hugely memorable wins for me. All of your wins are definitely something to be proud of. What is your favourite race of the season? The Cheltenham Gold Cup. It really is the pinnacle of jump racing and one any jockey wants to win. It’s a very special race. Looking back on your racing career, who was your toughest rival? Richard Johnson- he pushed me every year and I’m delighted for him that he’s been Champion Jockey twice now and it couldn’t have happened to a nicer man. And finally, what is the best advice you've ever been given? 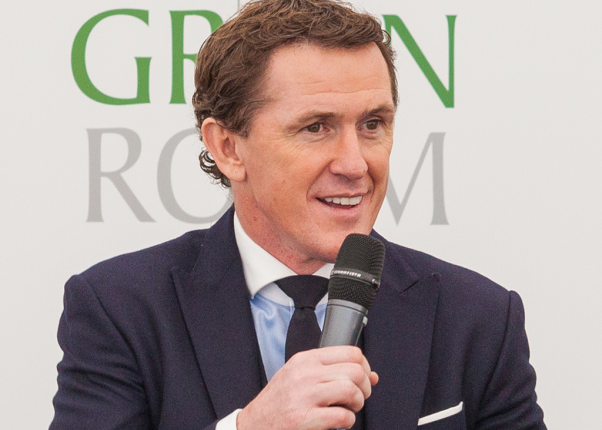 Sir Anthony McCoy will be joining us in The Green Room at the Cheltenham Festival in March 2018, so if you'd like to put some of your own questions to the legend himself, simply enquire below and we'll get back to you with current availability and prices. We offer several events at the Cheltenham racecourse available to our Cheltenham hospitality customers.